The challenges associated with designing high-output compact subwoofer systems can be daunting. In most cases, designers sacrifice low- frequency extension or output capability in order to keep a design acceptably small. The Fathom® subwoofers sacrifice nothing, thanks to the dynamic advantages of their proprietary JL Audio drivers. These exceptional woofers allow for a true subwoofer passband and very high output, while keeping distortion well below audible thresholds. To extract full benefit from the excursion envelope of its woofer design, each Fathom® employs an uncommonly powerful switching amplifier with a large toroidal transformer and a patented circuit designed to enhance control and fidelity. The compact design and conventional form factor of the Fathoms apply beautifully to most home theater applications, including built in designs. 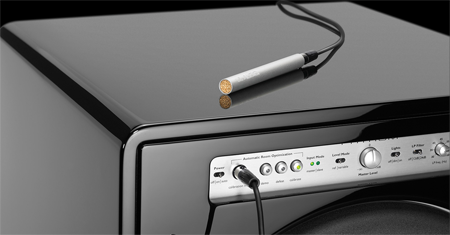 Front-mounted controls make them comfortable to set up and adjust, while JL Audio’s exclusive Automatic Room Optimisation circuit makes sure that response is smooth, even in challenging rooms. The Fathom® series of subwoofers are equally capable in home cinema and two channel stereo applications with the ability to reproduce extraordinary bass throughout the frequency range. Delivering the lowest most octave with explosive power and control, whilst maintaining resolution of bass detail. Upper bass has an iron fisted control that allows each and every bass note to be distinguished, enhancing musical enjoyment and seamless integration within any system. 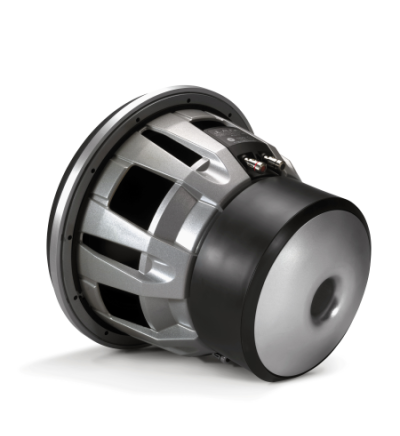 f110: 10-inch driver, capable of peak-to-peak excursion capabilities well in excess of 2.5 inches, 1kW amplifier, sealed enclosure with extensive internal bracing. f112: 12-inch driver, capable of peak-to-peak excursion capabilities well in excess of 3.0 inches, 1.5kW amplifier, sealed enclosure with extensive internal bracing. f113: 13.5-inch driver, capable of peak-to-peak excursion capabilities well in excess of 4.0 inches, 2.5kW amplifier, sealed enclosure with extensive internal bracing. 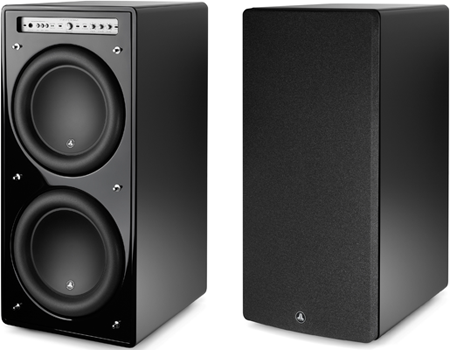 f212: twin 12-inch drivers, capable of peak-to-peak excursion capabilities well in excess of 3.0 inches, 3kW amplifier, sealed enclosure with extensive internal bracing. 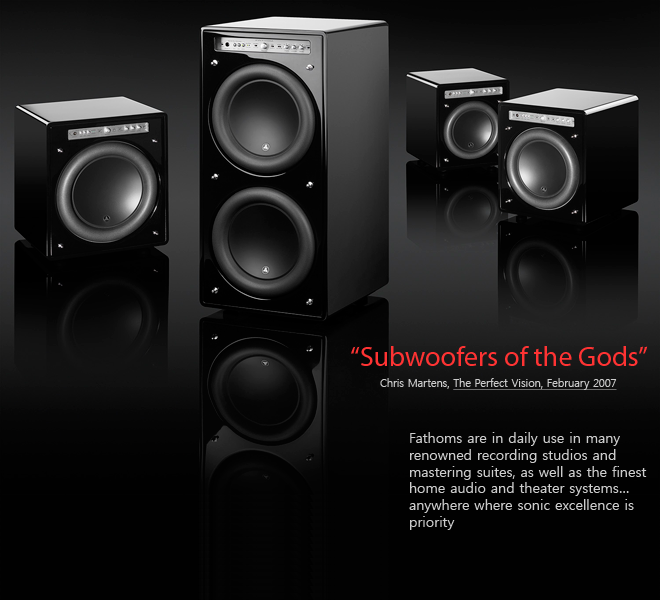 The Fathom® series of subwoofers have a front-mounted control panel, which allows ease of installation and adjustment. The front-mounted control panel includes an extensive set of signal processing tools aimed at optimising the Fathom’s performance within your listening space. Each Fathom® subwoofer incorporates JL Audio’s state of the art driver, with numerous proprietary patented technologies. JL Audio’s long-excursion subwoofer driver designs are widely considered as reference standards for linear behaviour and high output. Each subwoofer driver in the Fathom® series of subwoofer systems is capable of exceptional linear excursion without distress or audible distortion. These exceptional drivers enable the Fathom® series of subwoofers to reproduce powerful low-frequency events with stunning impact and unprecedented accuracy. Derived from JL Audio’s legendary W7 design platform, the Fathom® drivers offer peak-to-peak excursion capabilities well in excess of 2.5 inches (63 mm – f110), 3 inches (76 mm – f112) and 4 inches (101 mm – f113) to comfortably handle the dynamics of the most demanding program material. To get the most from the Fathom’s long excursion driver platform, prodigious amounts of controlled power are needed. 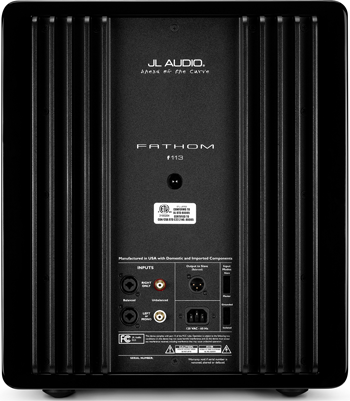 Each Fathom® subwoofer system employs a precisely engineered switching amplifier with patented feedback technology, capable of delivering unclipped output voltage equivalent to 900 watts (f110), 1500 watts (f112), 2500 watts (f113) and 3000 watts (f212) of RMS power when referenced to the nominal loudspeaker impedance, allowing JL Audio to take full advantage of the drivers' full excursion envelope. The beautiful cabinet enclosing the workings of each Fathom is also the result of careful engineering. To contain the pressures created by the Fathom driver, JL Audio utilised solid, CNC-cut, MDF material with extensive internal bracing features and advanced assembly techniques. 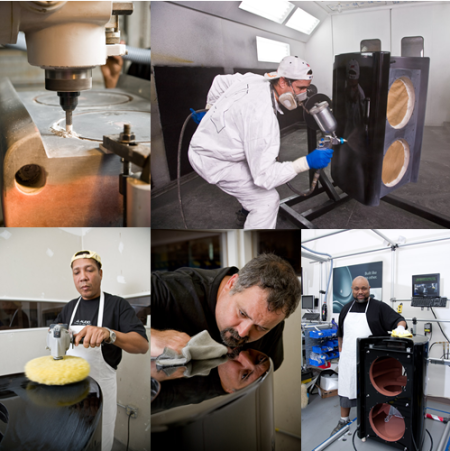 Each Fathom® subwoofer system’s, form and finish is exquisite with attention to every fine detail of each unit undertaken, hand polished to the highest furniture-grade standards, with precision machined aluminium/stainless steel accents.